Former Iranian president Mahmoud Ahmadinejad has joined Twitter, eight years after he banned the social media platform amid a crackdown on free expression during Iran’s Green Revolution. The response has been swift and varied. Joining other high ranking Iranian officials such as current President Rouhani and Foreign Minister Zarif, Ahmadinejad on Sunday shared a string of posts, including a video promoting love and peace. Many users were quick to point out, however, that the account has yet to be officially verified by Twitter. The unverified account has already amassed over 3,000 followers since it was launched early Sunday. Whether the account is real or not, the @Ahmadinejad1956 handle has been quick to block at least one unwanted user. Many have been just as quick to offer some rather pointed social media advice to the former president, while also highlighting some of the more extreme statements he made while in office. 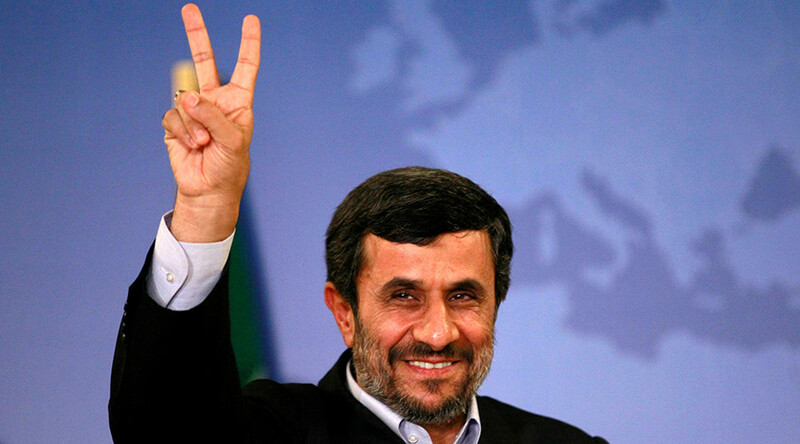 Up to 50 percent of the top 500 most visited websites in the world were outlawed in Iran in the years following Ahmadinejad’s controversial re-election in 2009. Widespread and often violent protests across the country in the aftermath of the election were brutally suppressed. During the height of Ahmadinejad’s crackdown, the UN special rapporteur said, millions of websites were blocked in Iran, including Facebook, Twitter, and Google Plus. While tech savvy internet users in Iran have long been able to bypass government security measures via proxy servers and virtual private networks (VPNs), the hypocrisy of Iranian government officials using the social media platform to engage with the wider world has led to criticism both at home and abroad. Iran has been developing the concept of a so-called ‘Halal internet’ since 2012. The platform would be similar to systems in place in Cuba, China and North Korea, where internet usage is limited in many respects with a large number of international social media platforms off limits, to prevent dissenting opinions from spreading quickly.